Join us for the 2018 Women's Tea on State Theatre New Jersey’s stage! Join us in celebrating Women’s History Month and supporting arts access for all! 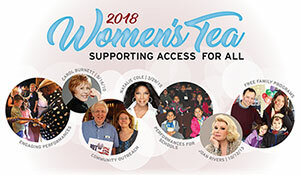 Our very special Women’s Tea event will raise funds to help bring inspiring performing arts experiences to nearly 60,000 underserved students, families, seniors, and veterans this year. While paying tribute to esteemed female artists who have graced the State Theatre stage over the years—such as Debbie Reynolds, Liza Minnelli, Aretha Franklin, Carol Burnett, and Whoopi Goldberg—we will honor women’s dedication to the arts, public service, and commitment to excellence. 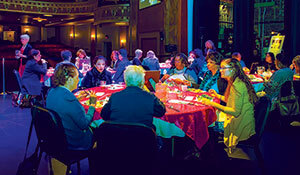 Ticket revenues cover only 54% of the non-profit State Theatre’s operating expenses, so proceeds from the Women’s Tea are vital to our ability to share inspiring world-class performances and educational programs with those unlikely to otherwise have access. Sponsorship opportunities (see below) as well as regular event tickets are available, starting at $150. To support this event as a sponsor or for more information, contact 732-247-7200, ext. 512 or rsvp@stnj.org or fill out the 2018 Women’s Tea Sponsorship Form. Sally Glick, Principal and Chief Growth Strategist, Sobel & Co.